If you're looking for an energy-efficient type of window treatment try using insulated curtains. This type of curtain is a smart investment for your home. These curtains are often made from heavy fabrics such as cotton or velvet that help to block out light. This is why they are sometimes referred to as blackout curtains. Insulated curtains can be used on any window: however, they are the most efficient when used on south-facing windows that are exposed to large amounts of sunlight during the summer months. You should also use them on north-facing windows that are exposed to the harsh winds that blow during winter months. This type of curtain also works well in bedrooms when you need to block natural light in order to sleep during the day. If you have a family member who works a graveyard or night shift, they will appreciate the light-blocking efficiency of insulated curtains. Not only do insulated curtains help to block natural light, they also help to reduce sound. If your living room faces a noisy street, these curtains can help minimize the noise from traffic. Likewise, the curtains also prevent indoor noise from leaking outside. This can lessen the chance of your home theater system bothering your neighbors. Curtains that are insulated may be a good choice for your bathroom windows. 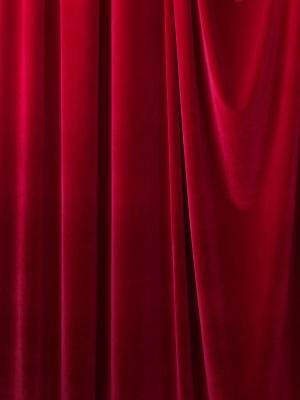 Just look for a type of fabric that is moisture resistant to prevent the curtains from mildewing. If you have central heating and air conditioning, you know how greatly these two systems affect your utility bills. Using curtains that are insulated not only saves energy, but they also save you money all year long. Tab-top curtains are good to use when you want your decorative curtain rod to show through. With rod pocket curtains you only see the finials of the curtain rod. Pinch-pleated curtains are one of the most popular styles. This is the style you' find in hotels and motels. Pinch-pleated curtains hang by using drapery hooks at the top of each pleat. Eyelet curtains have large metal lined holes (called grommets) in the top of the curtain that you thread the curtain rod through. This is another good design to have with decorative curtain rods that you want to show off instead of hide. You just have to make sure the rod is thin enough to fit through the eyelet holes. Use a rod that has some type of decorative finials at the ends to give your window treatment a designer look. You can control how much light and noise enters and leaves your rooms through the window by buying thermal liners for your curtains. Thermal liners can be added to any regular curtain to create an insulation barrier. For example, you might not want to block the natural light all year. You may prefer more light to come through during the winter months when the sun is farther away and less powerful. You may also want to let the sound of springtime birds chirping into your home after a long cold winter, or be able to hear your kids as they play in the front yard. In this case, all you have to do is remove the thermal lining and store them away until needed. Separate thermal liners also come in handy if you like to change your curtains periodically. Keep the liners to use with new curtain purchases. The combination of insulated curtains with good weatherproofing of your home are worthwhile investments. These improvements eventually pay for themselves with the money you save from lower utility costs.